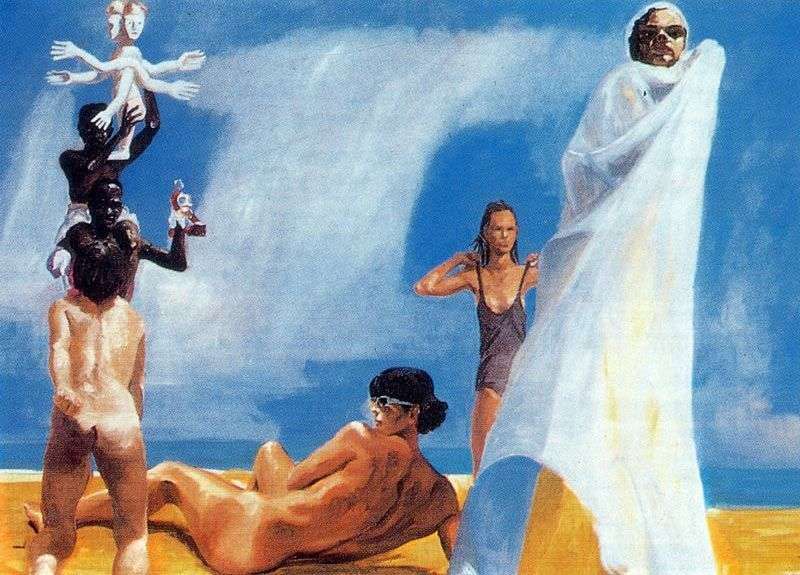 The painting “A Brief History of North Africa” by the American artist-hyperrealist Eric Fischl represents the history of the clash of the ancient pagan cult of the peoples of North Africa and the influence of European culture. With the advent of civilization on the continent, the traditions of ancient religious rituals have receded into the background, new idols have appeared – money, pop stars, expensive cars. And spells and dances under the tambourines of shamans went into the category of exotics and became the favorite entertainment of bored millionaires. In the picture presented, we see how freely Europeans feel on foreign soil, because they brought freedom and democracy to the peoples of Africa. As they themselves think. Description and meaning of the painting A Brief History of North Africa by Eric Fishl.